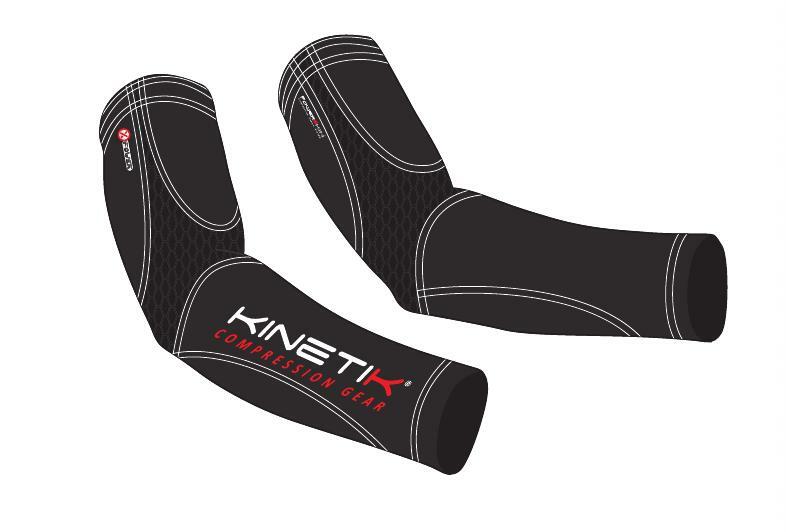 Compression Short Sleeves Top Multisport – Black Pink | Kinetik Sportswear USA! 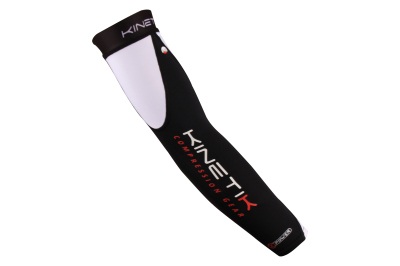 Compression Short Sleeves Top Multisport – Black Pink | Kinetik Sportswear USA! Runners, cyclists, and triathletes aren’t the only sportspeople who benefit from compression apparel. 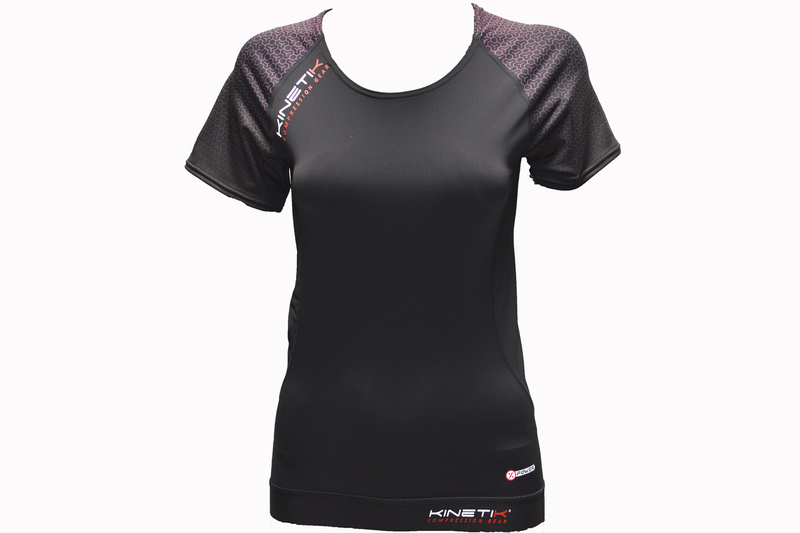 Kinetik short sleeves multisport tops are versatile additions to the gear bags of fitness enthusiasts and endurance athletes who desire faster recovery, reduced muscle oscillation, and improved circulation. Kinetik’s XPower technology surrounds and supports the key muscle groups in the shoulders, torso and back, ensuring the best combination of compression, comfort, and performance. 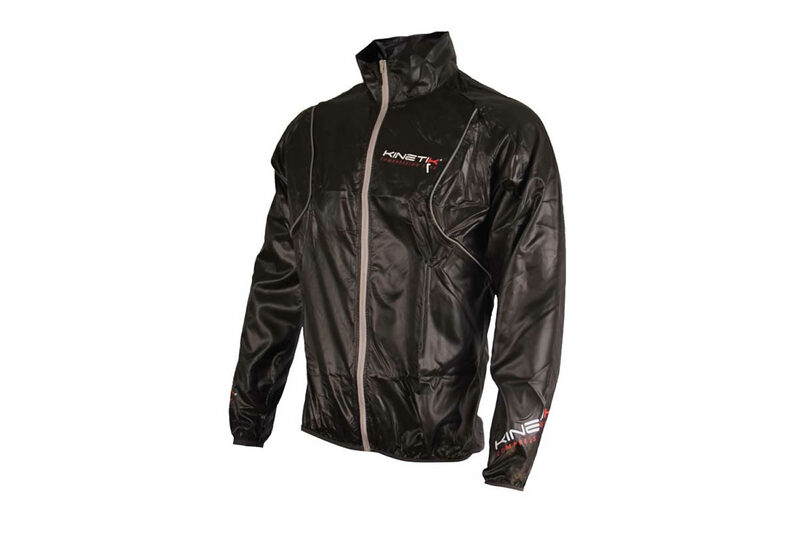 The Multisport Top functions equally well as a base or top layer. 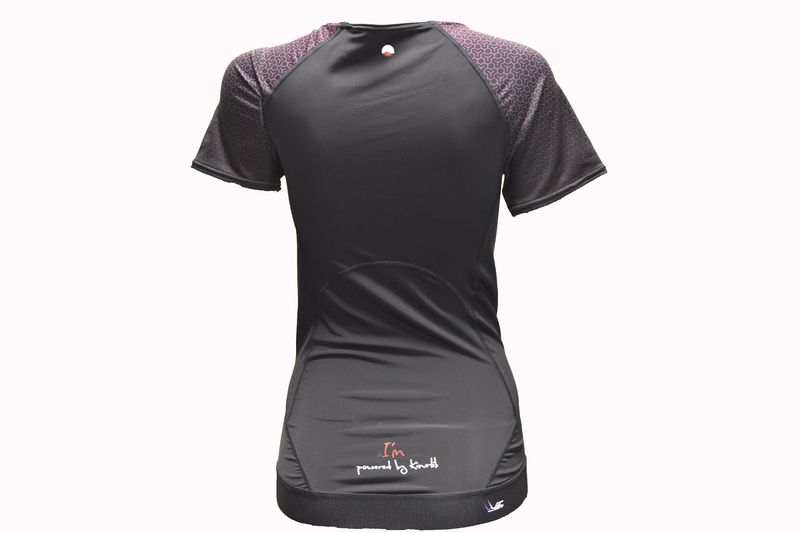 Compression panels start at its crew neck and traverse down and across the torso to support the abdominals, deltoids, spine and lumbar region. The armpits are vented with opaque mesh for sweat release. 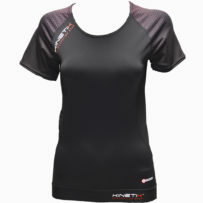 Kinetik Multisport Tops for women feature a long-waisted cut that ends in a wide, soft elastic waistband.